I was feeling creative after I made this night panorama of Monument Square so I went ahead and did the same shot during the day. Naturally, I have now combined the day and night versions. 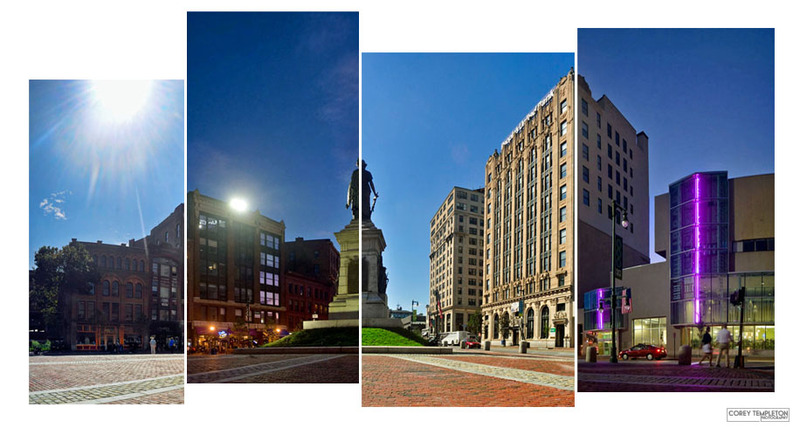 I think this came out pretty well and I may try doing some more "day and night panoramas" around town if I think of good places for it. This really is a cool effect. I haven't seen this done yet in panorama stitchings. Very creative.